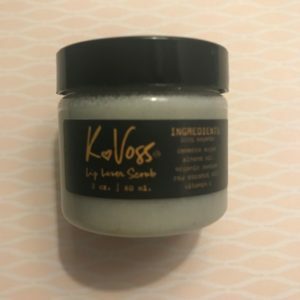 Soft Lips for the Winter= KVoss Lip Lover Scrub to the Rescue! Here in Chicago, we are experiencing colder temps, wind and dry indoors which can create parched skin and lips. Who doesn’t love soft, supple lips! I absolutely love this lip scrub! This scrub is so gentle and it makes my lips feel so hydrated, supple and smooth! KVoss made this beautifully! This is a definitely something I will use personally and even put in my professional kit for on set! The texture feels great on your lips! My favorite lip-scrub so far and it’s all-natural and organic! Made with Demerara sugar, almond oil, organic pumice, raw coconut oil, and vitamin e! Use 1- 3 times a week before bed, before lipstick application to have a smooth base to start or even use in your am routine! They give a good amount in this packaging about 2oz. This will last you a really long time! Enjoy and take care of your skin this winter!